This lovely novel may be spare, but it is profound. 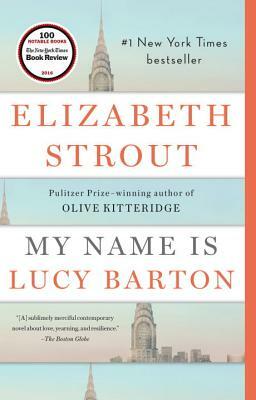 Strout explores a mother-daughter bond during a hospital visit. Lucy Barton is recovering slowly from what should have been a simple operation. Her mother, with whom she hasn't spoken for many years, comes to see her. Gentle gossip about people from Lucy's childhood in Amgash, Illinois, seems to reconnect them, but just below the surface lie the tension and longing that have informed every aspect of Lucy's life: her escape from her troubled family, her desire to become a writer, her marriage, her love for her two daughters. This is such a moving portrait of what can often be a complicated relationship. It's a book that will stay with you.